- this is flawless. no cons. I would rather have a connection to Whyte than the U of A. 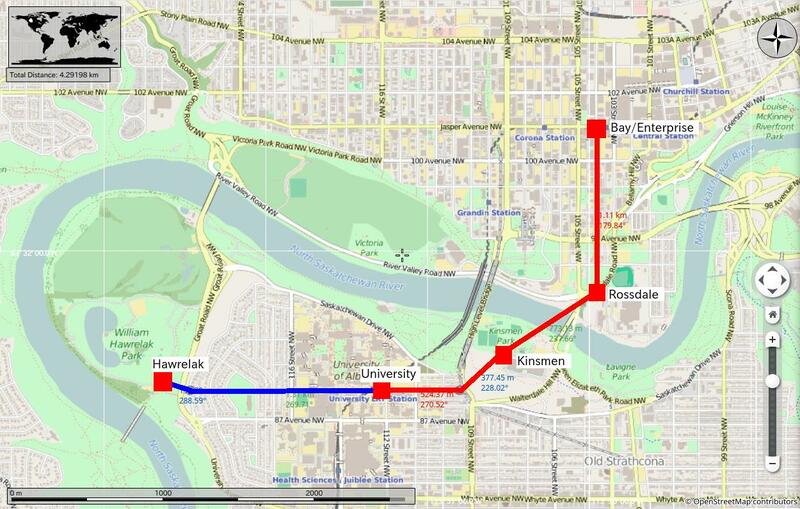 The U of A link just duplicates the LRT, so the only benefit is stops at Kinsmen and Rossdale. We need a direct link downtown to whyte. To me, Whyte Ave (along with the rest of the City) is about to get much better bus service (I'm expecting a frequent straight-line from Health Sciences). Then it's getting a second station at Bonnie Doon. Then it's getting the Energy Line, from 102 Ave, straight down Whyte, end to end. Meanwhile, Gondola is about Valley bottom, and University-Kinsmen is ready to go right now, with no help from LRT anywhere on the horizon. Yet huge demand. Their already-huge parking lot is bursting at the seams. As B.ike suggested, these aren't necessarily in competition together. We could do a 'fork' at Rossdale towards both End Of Steel and towards Kinsmen (and onward to Whyte and University respectively). But the thing for me right now, Rossdale has no need on the horizon. While we wait for Rossdale, University-Kinsmen can be where we prove the concept. Are there any examples of this that are successful? The one in London apparently runs at about 10 percent of capacity at a cost of £60b. A consideration for the route to the UofA and Hawrelak Park: We will never run one of these over and through a residential neighbourhood. Barf. This POS does exactly the same thing LRT is supposed to do, except worse in every way. To be clear, I'm not that keen on the Hawrelak link. It would be nice to have for festivals, but I don't think it would be year-round like Kinsmen. Istanbul has two that I know of, having ridden them. Istanbul's location and tourism aside, for the river valley it is not that outlandish. Happen? I think not. Last edited by GenWhy? ; 01-03-2016 at 12:28 PM. While the opportunities of potential station is limitless, I'd like to stress, what I've proposed is a line that will have almost no impacts to the existing infrastructure. None of the support pylons are going to required realignment of roads/sidewalks. With that, construction process is much easier and impacts during construction can be mitigated. Also, with the amount of apartments/highrise condos, my chosen route avoids flying next to or over any building (who wants a flying pod outside their apartment window/balcony?). The route only goes over roadways and parkland. If you start bisecting neighbourhoods, you're bound to get NIMBY. Aerial system would cost a lot less. Less construction impacts. No impacts to traffic. Which ways does the LRT excel? The Roosevelt Tramway in NYC - the only aerial system in north american - was quite cheap and is arguably successful. "This does exactly the same thing LRT is supposed (but fails) to do, except at a fraction of the price, years earlier, and without any negative traffic or land impacts." They are also proposed for Burnaby (to link Simon Fraser) and Austin, Tx. But yeah, lets spend the same amount on an escalator to nowhere. Last edited by Jaerdo; 01-03-2016 at 01:39 PM. I have suggested this before (2009) and I like it! Metrocable is the first system in the world dedicated to public transport, with a fixed service schedule. Since starting operations in 2004, it carries 30,000 people daily and is operationally integrated into the rest of Medellin's mass transit system, including the Metro. As of 2010, the Medellin Metrocable system contained three lines, namely Line K, Line J and Line L (Cable Arvi). Two lines, Line H and line M, are under construction as of 2015. Overall, the system has been received with enthusiasm by the locals. Line K was the initial line that was built and was first opened in 2004. It is 1.8 km and contains the following four stations: Acevedo, Andalucia, Popular, and Santo Domingo. Construction costs are estimated at $26 million USD. Soon after officials saw the enormous success of Line K, plans to proceed with another line - Line J - was immediately on the table. It officially opened in 2008. Similar to Line K, it also has four stations: San Javier, Juan XXIII, Vallejuelos and La Aurora. The entire length of Line J runs along 2.7 km of cable. Line L does not serve communal areas, rather, it is a tourist-oriented line which is connected to Arví Park and is part of a social project to bring retreats and nature to the masses. Passengers must pay an extra fare - 4,000 Colombian Pesos ($2 USD approx.) to ride this line. It is connected to Line K's terminus station - Santo Domingo. It is also expected that this new line will help promote and develop tourism in the rural areas around Lake Guarne. It will take 14 minutes to ascend to El Tambo and there will be no intermediate stations. Last edited by Edmonton PRT; 01-03-2016 at 02:25 PM. ^ that is so 1980's. Last edited by Edmonton PRT; 19-09-2018 at 06:26 PM. President Morales once again became the first passenger to board the Purple Line. Image by Cesar Dockweiler. Purple Line. Image by ATB. In a span of just five years, La Paz has built over 27km (16.2mi) of rapid transit. That’s faster or nearly the same amount of time it takes to complete infrastructure review processes in some North American jurisdictions. The new Purple Line (Spanish: Línea Morada) which saw its first passenger on Thursday last week marks the third line that directly connects El Alto and La Paz (after the Yellow Line and Red Line) and the second “next-generation” gondola in the Bolivian city (after the Sky Blue Line). This means that unlike some of the previous cable cars (e.g. Red, Green, Yellow, Blue, Orange and White), the new 4.3km urban cable car has upgraded performance abilities with capacities reaching 4,000 passengers per hour per direction (pphpd) and speeds of 6m/s. Comparatively speaking, most of the older systems operate with capacities of a thousand persons less and speeds of 1m/s less than the Purple Line. Looking more like a transit network with each new line. I wonder why they can build this so much faster and have more passengers than our LRT? Master plan for all 11 urban gondola lines. Image from Mi Teleferico. 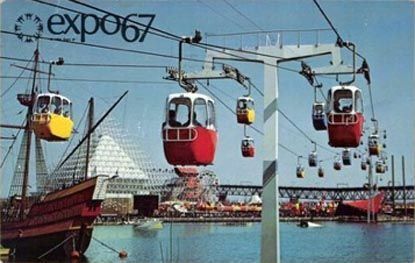 Actually no, Disney had their first aerial gondola in 1956. The Skyway was a prominent ride at Disneyland when it opened a year after the park’s debut. 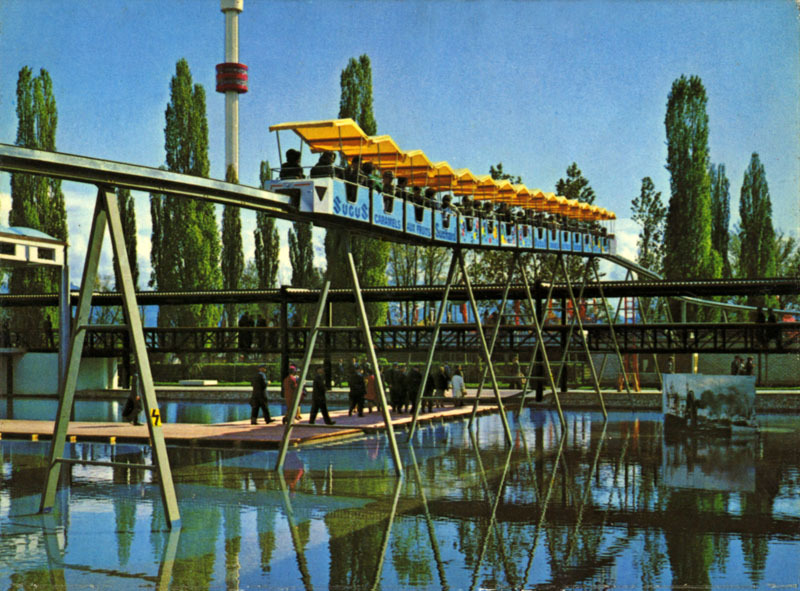 For nearly four decades, the attraction ferried an estimated 150 million passengers. Had a great presentation from Steven Dale from http://creativeurbanprojects.com recently, on best practices for the Edmonton gondola. What is the trajectory on this project? Will the COE make an honest evaluation on the idea and assist in making it happen? My guess is the city won't touch it, at least in terms of making any financial contributions. This is proposed as a private venture but it cannot happen unless the COE allows the ROW to be leased for the supports and route. It would also be a greater public transit benefit if at some point that the fares could be integrated. The construction speed is amazing. It would be interesting to see where their abilities and responsibilities differ from here as this speed seem more like something we’d see out of dictatorships like China or in the Middle East. Last edited by KC; 25-09-2018 at 11:53 AM. It is simply that aerial gondolas by nature of the design is less intrusive and leave the ground undisturbed for the majority of the route. No bridges, no moving utilities, minimal traffic disruption etc. Also the majority of the components are also off the shelf and far less materials are required to build compared to LRT. A lot of happening behind the scenes and being driven privately. Yes, there are definitely a lot of ways the city could help without contributing funds and I hope they do. I would love to see this happen. Last edited by IanO; 26-09-2018 at 11:18 AM. Yes, it is great that this project is moving forward with a crack team. My only suggestion is that the north end terminus should be Rogers Place with a intermediate station at Bay to have a direct link to both the LRT station. This is also a straighter line along 103rd Street on the North Side. I still do not see the utility of terminating at SHAW with no direct connections to buses or LRT and so far from even the Quarters or the DT core. Lets keep the focus on viable and efficient transit, not a tourist route. Last edited by Edmonton PRT; 26-09-2018 at 10:54 AM. Yes I think a direct link to LRT will be essential if it is to be integrated into the transit system. If we can't run the line down 103st, like PRT suggested, I like the idea of the downtown terminus being at Telus Plaza. Partner with the city so that your gondola ticket works as an ETS transfer, and hop the LRT from Central Station or bus to Roger's Place or Churchill Square. I prefer the 103rd st alignment followed by a 101st st alignment to 104th Ave.
My 3rd favorite is the Telus location. My fourth is a 10th alignment and lastly is the Shaw terminus. Shaw is a poor location and IMHO will result in halving the potential ridership. I think the Telus one is the easiest, and best option. Given that a pedestrian crossing is expected in the area to get across to the Funicular. Would be nice to have that connectivity. I still can't see the reason for a connection all the way to the Arena. If we're going further than Telus than Arts District and Churchill Square terminus is a better option, and with space for it. I would prefer as second to the Rogers terminus would be 101st to Churchill. Connects to every LRT line. Who could not support that over Shaw? Work continues behind the scenes. I think a route down 106 ST in Strathcona and 103 ST downtown makes the most sense. Keep in mind that gondolas need a terminal to turn corners which slows down travel time, so having a station at the deflection locations would help increase the speed of the trip. If 95 AV in Rossdale wasn't realigned, the station would have to be elevated above the road, which is fine, but with the proposed plan to reconfigure roads in the area, this should be possible. I also don't think it would be ideal (or allowable) to have the line go above the Rossdale substation, so that is a limiting factor. If Telus field wan't in the way, I would say do a straight line south from 103 ST downtown to Gateway BLVD in Strathcona... but that might not be an option. The problem with 103 St is that it runs along a narrow road full of apartment buildings. Plus where would you build a terminal? Tells field is not in the way. Easy to bypass or even go over. I was thinking something along these lines. Sorry for the horrible quality in the image. I see 5 apartment buildings that are along 103 ST and I don't think it would be a massive issue to go past these. The setbacks are likely sufficient to provide sufficient privacy. As for building over the ball park, I don't see this as an option as it would also have to go over the Rossdale water treatment plant which could be a security issue. I could see stations built above the road. 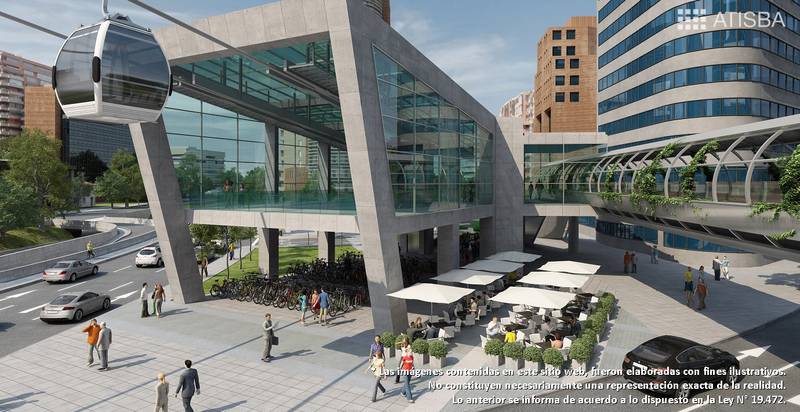 The downtown station could have direct access to the pedway linking the U of A downtown campus to the Enbridge building. It would also have convenient access to Bay LRT and Rogers Place. The Rossdale stop could be above Rossdale Rd and coordinate with the new plans for the area. Walterdale station would be at the south abutment of the old Walterdale bridge. The Whyte AV stop would be above 106 ST.
Having the line above the road shouldn't be an issue as the towers could simply be an A-frame design with posts just past the sidewalk. 104 ST downtown is likely not an cost effective option as it is a utility corridor for various utilities, especially power, as there are two electrical transmission circuits under the road and a ductline that goes downtown from the Rossdale substation. Where exactly would you put the station? Building infrastructure should never be a vanity project. You have to see what the problem is and identify possible solutions. In Edmonton, a gondola would quickly become a vanity project as there are multiple cheaper and more successful solutions. If you need mass transit to debark at Rossdale near Telus Field then simply add more bus routes. There are already routes going right past there and a bus is far cheaper to operate and has vastly lower capital costs than a gondola. The elevation change in El Alto-La Paz is roughly 400 metres while the proposed route shown above is around 50 metres. 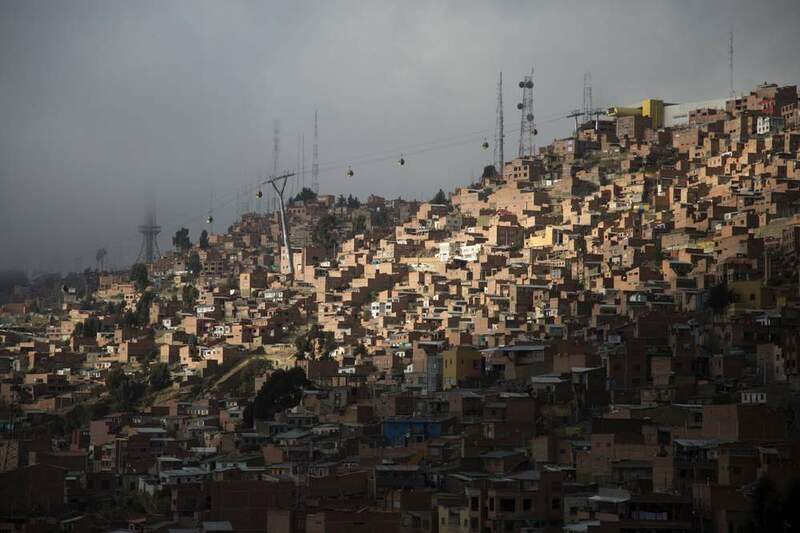 El Alto and La Paz are each about the same population as Edmonton. Rossdale has about 2,000 people and no more than 10,000 commuters would use something like this to get to Telus Field and that's only when there's an event happening. Anyone who has gone skiing know that gondola stations can very compact. This one at Sunshine is a good example. There is a big difference between a privately designed and run gondola; and another over engineered and over designed City of Edmonton mega transit project. Lots of misinformation in your post. The plan is not just to Telus field. If it was, I would be against it. It is from Whyte ave via Telus to Shaw or Rogers. The transit capture area is far greater than you state. Secondly, you cherry picked a single line in El Alto in steep terrain. There are quite a number of urban gondolas in use or under construction on relatively flat terrain. Moreover, Edmonton's DT and Old Strathcona are separated by a river with steep banks. 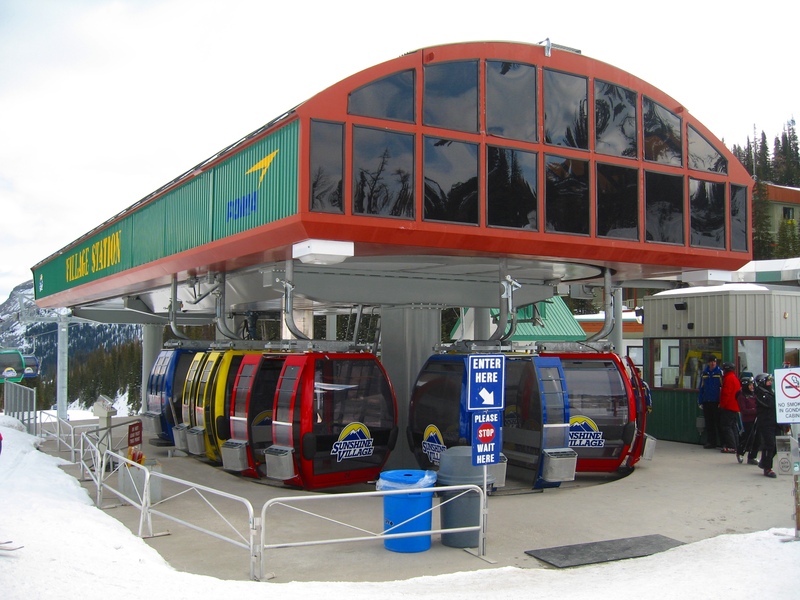 If you look at other posts, examples of wildly successful and expanding gondola systems are proof that a properly sited, designed and operated gondola system provides cost effective, efficient and economical transit. As an example, the gondola in Brest France is located on flat land to cross the river. Cabin travelling to Capucins station. Notice the small terminal footprint. Image by juleg29. *System is fully integrated with local transit where ticket holders can easily transfer onto buses and trams. City center station is located just 100m walk to closest tram station. Ultimately, officials in France and abroad will undoubtedly monitor the system’s performance closely for the upcoming months. Only time will tell what will happen but this might very well be the watershed moment for urban gondolas in France as its success could accelerate plans for the dozen plus proposals all across the country. Firstly, this ropeway system is the second known urban cable car (after Japan’s Morizo gondola) to have implemented smart glass. Smart glass reduces visual intrusion into nearby sensitive land uses as the glass can change from a translucent state to a “frosted/opaque” state. Last edited by Edmonton PRT; 18-01-2019 at 08:06 AM. You didn't answer the question. Where would you put the station? Would you expect OEG to give up space in the plaza? Would you expect them to donate it or would they charge market rates for it? Don't forget, it it's on private property then the property owners have the right to decide who can access it. It can straddle 104th street, between 103rd and 104th Avenues. 104th street is certainly wide enough for a station. Here are large elevated stations in high density urban areas with traffic flowing underneath. Planned as maximum capacity to be able to transport 2400 people / hour one way. The line is starting from Yenimahalle metro station and provides transportation from the air all the way to Şentepe's Center. Between Yenimahalle and Şentepe the cable car system will move 106 cabins at the same time, includes 4 stops and has a total length of 3257 meters. A cabin enters the station every 15 seconds and travels the full length in approximately 13.5 minutes with a 200-meter difference in elevation. 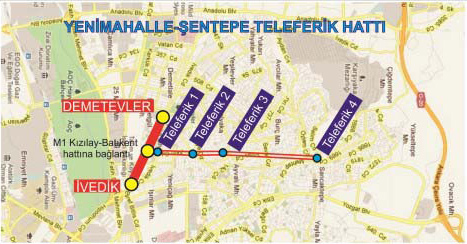 The cable car system that connects Yenimahalle metro station with Şentepe Center will transport without waiting the people exiting the metro in a short period of time to Şentepe. The cable car system works in synchronization with the metro and helps bring relief to Ankara's traffic and prevents the additional burden on the roads. Cable cars are easily used by everyone including people with disabilities, the elderly and children. 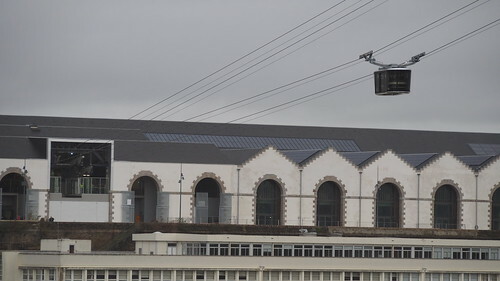 The cable car line which opened on 06.17. 2014, does not charge for transportation. After construction began in May 2017, Moscow’s first urban gondola — the Sparrow Hills Cable Car (Russian: Канатная дорога на Воробьёвых горах) — has finally opened to the public. The ropeway was slated to commence operations alongside World Cup celebrations but it unfortunately experienced several delays. Citizens have been waiting patiently for the revival of an aerial lift at Sparrow Hills since a former chairlift was dismantled in 2016. The system is designed to cross the Moskva River and connect to three visitor areas which include Luzhniki Stadium, New League/Kosygina and Sparrow Hills. On its first day, the 737m long cable car was visited by the city’s mayor who announced that the system will be free to ride for its first month. Thirty-five 8-person cabins will offer a capacity of 1,600 pphpd to riders. Trip times will be reduced to just five minutes compared to 15 minutes by road. As a purely recreational system, the cable car has introduced several important elements to attract tourists. At Sparrow Hills — one of the highest points in Moscow — riders have direct access to an observation deck which provides visitors with panoramic views of the capital. Passengers can either choose to ride a “visitor” route (Luzhniki Stadium to Sparrow Hills) or a “sports” route (Luzhniki Stadium to New League). 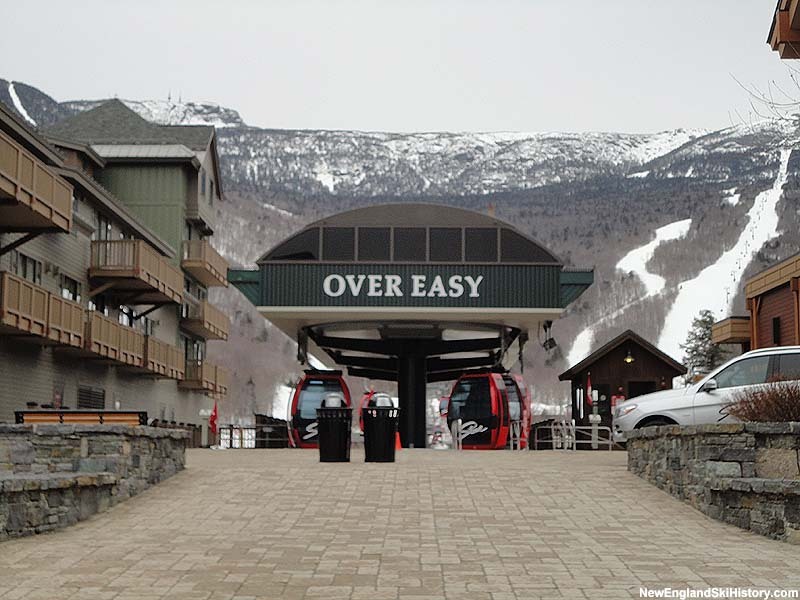 At the New League mid-station, visitors will be able to rent skiing and snowboarding equipment. However, tourists will have wait until February 2019 before the “sports” route is opened. To enable easier transfers for cyclists, cabins are equipped with bike racks. Inside the carriers, free audio guides in four different languages are available for those interested in learning about their surroundings. For those looking to enhance their travel experience, two 4-person VIP cabins with leather seats can be booked while every station is designed with a souvenir store and cafes. VIP cabins are a popular way to celebrate special events and occasions. Image by stroimos. Luzhniki Stadium station is located next to the national stadium of Russia — one of the biggest arenas in Europe with a capacity of 80,000+. Image by NearEMPTiness. Last edited by Edmonton PRT; 18-01-2019 at 08:41 AM. Elise Stolte has really impressed me as a columnist. She is smart and thoughtful. Who knew that picking the showiest and most-complicated project would result in nothing actually done? Actually... I fully expect this to get built and by a private entity. Not surprising. It’s pretty typical of Edmontonians. Hate it, ridicule it until everyone else adopts it, then be critical of the slowness to adopt it here. We’re simply now a settler-bureaucrat culture and haven’t been a pioneer-risk taking culture in 100 years. I don’t think we should always want be on the bleeding edge just to be the first, as that’s just a loser game but we should be looking forward to being able to adopt new things as enough initial bugs get worked out or when we can take a profitable leadership position to create a product for export. Just thoughtlessly, moronically and flippantly passing negative judgement on something out of ignorance and lack of vision just drags everyone down. 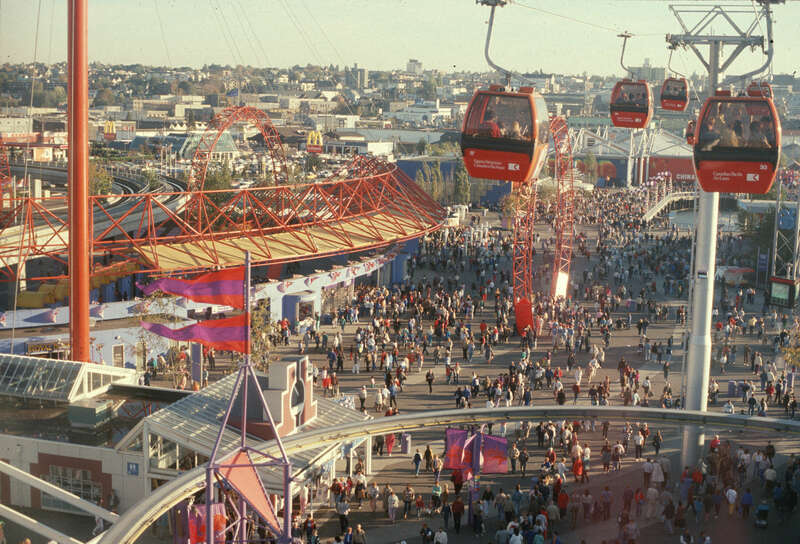 When Amber and Gary Poliquin first won The Edmonton Project ideas competition with a gondola from downtown, through Rossdale to Whyte Avenue, reaction was swift, often angry and highly critical. We should also remind people that the idea is not new, that it was being discussed here on connect2edmonton 10 or 12 years ago! All that time lost, opportunity lost, time wasted when instead of negativity, some enthusiasm could have made a project like this far more shovel-ready once the technogy and expertice evolved a bit more. Last edited by KC; 18-01-2019 at 10:34 AM. There are lots of successful urban gondola projects in operation. Edmonton would be far from the 'bleeding edge'. I still remember when Edmonton had a vision and leadership to build the first LRT system in North America in a city of less than 1 million people. Far less than 1 million and years before Vancouver too. Edmonton became the first city in North America with a metropolitan population of less than one million to build a modern light rail system. The population was just over 445,000 when construction started on the route in 1974. It also became the first city in Western Canada to operate a rapid transit system. So how did the gondola get stuck? Let’s review. After the idea won The Edmonton Project last spring, a group of private businessmen and developers, including EllisDon, came together to explore it. It’s now called Prairie Sky Gondola. Together, they’re willing to pay for the Phase 1 feasibility study ($150,000), says EllisDon’s Jeffrey Hansen-Carlson, who is leading the Prairie Sky team. They will also pay for the more detailed Phase 2 feasibility study ($300,000 to $500,000). If that works out, they’ll pay $750,000 to $1 million to do the environmental testing, detailed design and comprehensive business case. If and only if all of those steps are successful, Prairie Sky will seek private investors to fund the capital and ongoing operations. They don’t even need city land for stations. Five private landowners have already volunteered, at least in principal, and only three are needed. To help win me over it would certainly be helpful if the project proponents would be more transparent. No need to do expensive feasibility studies. Just put a graphic on the website with a route map showing the proposed locations of the stations and towers. The south side seems relatively straightforward. End of Steel Park to the parking lot east of 103 Street north of Whyte Avenue. The north side of the gondola route seems a lot more challenging. There is the water treatment plant, the Epcor sub-station, the ballpark, Rossdale residential developments, and Downtown buildings all of which have to be gone over or avoided. From looking at the website IanO is listed as a community engagement person for the developer. If the private land for the stations has already been identified, please post the proposed route map on the website. Then we can have a useful discussion. Your input or buy-in is now irrelevant. These people are doers. There are now. There weren’t too many in 2006 or so when c2e was discussing it and people were blowing off the idea. The technology has changed a lot since then but we are now so far behind the 8 ball now, that the planning and thinking out the issues is only now starting. It’s just sad that even conceptually, potentally great city improvements face huge resistance to even creating a potential workable vision. Last edited by KC; 18-01-2019 at 10:58 AM. Doers they may be. But if Edmontonians like me are being asked to get behind this project, and if journalists like Stolte are accusing Administration of putting up roadblocks, something as basic as a proposed gondola route map would certainly be helpful. Why do expensive feasibility studies on a non-existent route? "No need to do expensive feasibility studies"? No, there is absolutely a need to do feasibility studies as they would determine the exact routing, cost, ROI for the private partners, etc and allow them to move forward. Yes, a little bit more transparency around potential routes would be nice, but it's not the urgent need on this project at the moment. If they come out with a half-baked plan it'll be universally panned. Get the feasibility study done, have a solid plan set out, then take it back to the public as necessary. Any information they put out as draft, subject to change, one of several options, just under consideration and so on, will only be critiqued, lambasted as half baked, lacking appropriate consultation, lacking a final design, and all that knee-jerk, quick-to-judgement stuff that always comes out. (i.e. note your own comment was more of a criticism for the lack of information than it was praise on what they have already done, what they may do, on their initiative, their willingness not to shut up but instead to “step up” and “put up”). I didn't cherry-pick but instead selected a typical example of an urban aerial cable car based on population, elevation differential, demand, and lack of any viable alternative. Brest is a very small city--roughly the size of Red Deer--answering the population concerns. It is bisected by a major river which is crossed by just two bridges. We have a lot more bridges and the peak hour traffic is manageable. Brest has no discernible elevation changes. The biggest difference is the length of the line: the Brest cable car goes just 400 m. The proposed Edmonton line would stretch much farther. Just to go from Shaw or Rogers to Telus Field would be over 1 km. On its inaugural trip, the power went out. A passenger cabin was damaged during maintenance and took over six months to replace. Another difference is the nature of the destinations. 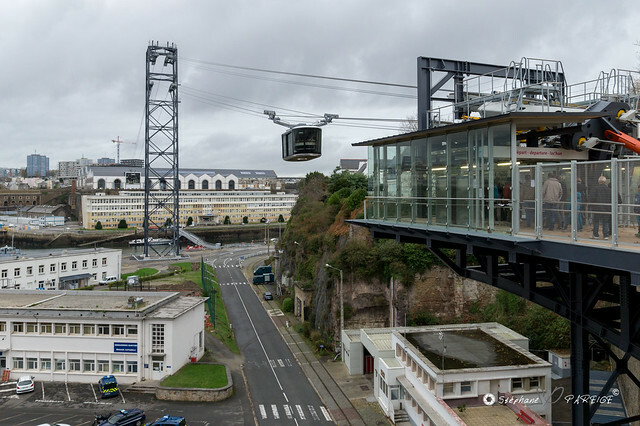 The Brest cable car transports people from the hotel area on one bank of the river to the Atelier Des Capucins on the other side. This destination is a repurposed factory. By all accounts, it's a public space with some shops and a library. I'm trying to think of something in Edmonton that has the same kind of potential. Finally there's ridership. The link above brags about the Brest line carrying 550,000 riders a year. That sounds impressive but our downtown Edmonton LRT stations have about 20,000 boardings each day. Annual ridership is upwards of 35 million. And there already is a phased plan to expand the LRT to serve Old Strathcona. I'm all for having the engineering firm do its feasibility studies. Apparently they want to pay for both of them. But realistically this is a solution looking for a problem. ^My experience has been the opposite. A lack of transparency is what breeds mistrust and misunderstanding thereby allowing critics to fill in the blanks with worst case scenarios. In recent years the City has revamped its entire approach to locating affordable housing with lessons drawn from the Terwillegar Towne debacle in 2013. Don't present a project to a neighbourhood as a fait d'accompli. Instead, consult early and get input from the neighbourhood about suitable sites, housing design, unit size, and best fit into the neighbourhood. In my view this change in approach is what has enabled more and better distributed affordable housing to be built in the past four years than was built in the previous ten, and with less acrimony. But hey I was only making a suggestion to IanO who is doing community engagement for the project according to the website. Especially since the proponents have already identified the private land required for stations they must have a route in mind. Last edited by East McCauley; 19-01-2019 at 10:39 AM. I echo East McCauley's sentiments about transparency. Also, I'm expecting IanO to now remove himself from this specific discussion thread unless he is conducting "community engagement" and specifies as doing so. Sorry, but why should he do this? What is believed to be the world's first true online community exclusively dedicated to the global promotion of a geographic region is now leading a revolution of new ideas about Edmonton. Last edited by KC; 20-01-2019 at 08:49 AM. Interesting point but my first thought is that critics will be critics no matter what is presented. Not sure if the recent developments reflect the cause and effect relationship you are crediting to it. I’m always hopeful that more information will change peoples preconceived notions and biases and bring about fresh better, more workable ideas and solutions (hence my advocacy for free speech) but there will always be the vocal critics that only see added information, consultation and time as a means to add ever more roadblocks. I’ll have to think more about this. We have high profile issues developing as we speak regarding insufficient consultation for the Trans Mountain pipeline and the Bighorn Park. So fairly established processes and issues that have been in the public sphere for decades and have evolved for decades (with nasty progressive/regressive procedural changes of course) face going-back-to-the-drawing-board like delays due to deficiencies declared near the end of the process. Reminds me of Edwards Demings’ Ford experience where Ford would test the headlights at the end of the assembly line and find that they were installed upside down and then have to pull the vehicle and reassemble the headlights. Demings taught Ford to redesign the headlights so they could only go in one way. It’s designing out error. Last edited by KC; 20-01-2019 at 08:21 AM. ^^^Nothing wrong with IanO participating in the discussion. Am hoping that he will. Many of us have faced this need to be clear about what hat we are wearing when speaking out. With the agreement of my boss, I decided to use a internet handle on this board to make it crystal clear that the opinions expressed here are strictly my own, and not those of my employer for whom I am an occasional spokesperson. Having a rule that says you can't comment in a discussion forum because you may have some involvement with some project or other, would preclude some of the most knowledgeable voices from participating. My personal expectation is that anyone who directly benefits financially cheerleading a project on this forum makes that abundantly clear from the get-go. Perhaps I missed where IanO stated his employment with the private consortium lobbying to have this project move ahead. Colour me naive but I just assumed that's what others around here do as a matter of course. This is largely an anonymous forum. I have no idea if you are cheerleading or critiquing to your own benefit. Moreover the original intent of the forum* seemed to be one where participants would variously benefit from defending Edmonton and/or pushing various ideas for the benefit of Edmonton. So I don’t see why those who are forthright enough to provide their identities should have that openness used against them and only them. Or why they face a higher standard of disclosure than all us anonymous posters. They already clearly face people connecting their professional or personal lives to their postings in this forum. Moreover for some reason IanO is a lightning rod for criticism. People in this forum who don’t openly disclose their own names seem not to hesitate to dig into IanO’s professional activities. Like I’ve long said: on the Internet, whatever you say or do, WILL be used against you. * I wish I could find more of the original statements about the intent of those who conceived and funded and supported c2e. Allowing users to hide their identities behind anonymous usernames was a pretty courageous step towards obtaining people’s thoughts and opinions. Last edited by KC; 21-01-2019 at 08:32 AM. How does IanO stand to benefit financially from this? Why should he recuse himself from these discussions? I thought IanO stated he wasn't involved? 1. I am involved by way of community outreach as a representative of the DBA, similar to how Cherie is from the OSBA. 2. I am not personally involved in any financial way. 3. UNLESS otherwise specified, views are my own, hence IanO and not something work related. 4. It is quite difficult to separate personal thoughts from professional thoughts at times and I am sure that many of us on this site can attest to that. 5. I am happy to contribute to this thread where I can, while respecting the fact that I am sitting in on meetings in parallel. 7. We (DBA) do hope to derive economic benefits from this connection. 8. We (DBA) do hope to see this as a commuter option AND also a tourist/visitor draw. 9. ...and finally, the intent is to use this as a primary means to get to and from a West Rossdale/Powerplant redevelopment. Last edited by IanO; 21-01-2019 at 08:27 AM. Primary access would be by automobile. Possible secondary mode could be a gondola. 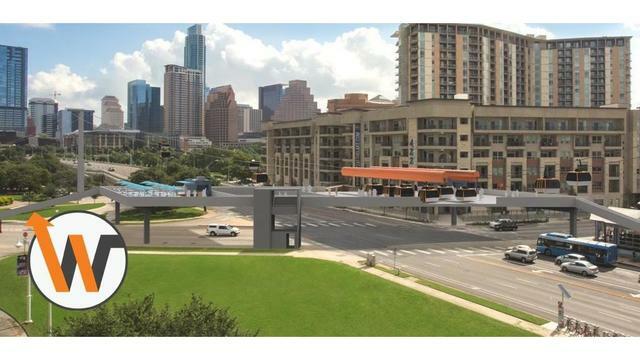 ^difficult to say how it would all work out once built out, but yes, those two would be how the majority of people get to the area... although parking will be at a premium is my guess. But what about fixing the potholes! CABLE CAR COMING: LMP to Jasper Ave.
Last edited by KC; 21-01-2019 at 10:04 AM. Thanks for that. An amazing amount of threads going back 12 years with tons of overlap. The gondola idea is sound. I do not agree with the Convention Centre as a terminus. It should come up 10th in DT and either go to Rogers or a station built into the old Hudsons Bay Store with direct inside links to the underground LRT station. Last edited by KC; 21-01-2019 at 08:50 PM. Just a thought. If this is privately ran, I'm sure it has been thought out and discussed, But who will pay the bill if this thing was to stall out or lose power and cause for a rescue from any occupied cabins. Or the cost and planning to have a system or crew in place for such event. Its a whole new rescue operations to retrieve people from an overhead cable car. Can't just open the door and jump. Just hoping they have a plan in place. That's the only thing bad I can see happening with this. A poor emergency plan that results in riders being stranded high in the cold air not being rescued for a prolonged period of time. Just for example, how do you get people out that are stuck over the river? Helicopter? Boat and repelling down? The cost has to be known or thought out. 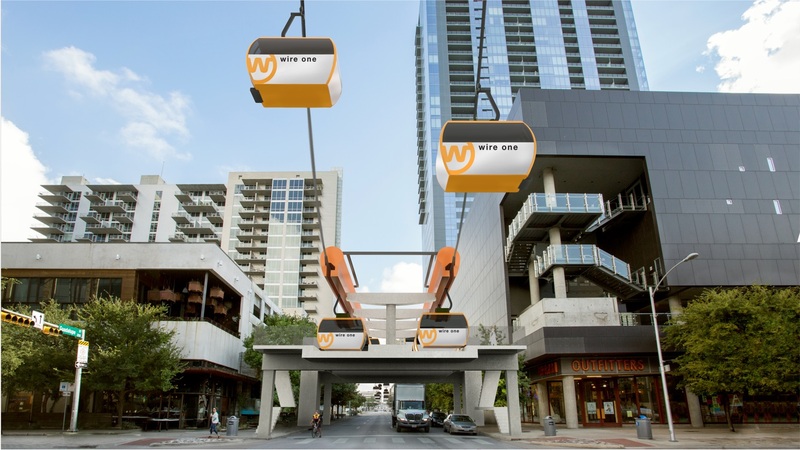 I like the potential that can come from this urban gondola thing. Just have to understand it and plan for the unknown. Uhhhhh, did you ever think that there are thousands of ski lifts and cable car systems all over the globe in some of the most difficult terrain on earth that transport millions of people a day on privately run systems that have a very high reliability and safety record? They are about the safest form of transport and have evacuation systems in place as well as rescue crews and systems in place. When is the last time you heard that they just left passengers to rot or coaxing them to jump without a parachute? Last edited by Edmonton PRT; 17-02-2019 at 07:19 AM. [QUOTE=Edmonton PRT;920686]Uhhhhh, did you ever think that there are thousands of ski lifts and cable car systems all over the globe in some of the most difficult terrain on earth that transport millions of people a day on privately run systems that have a very high reliability and safety record? I am very much aware of the many systems in place around the world. I understand the difficult, complex terrain that many go over. Ya I know "They" have a rescue plan. I was just stating that I hope the people here understand the cost that come with that. It's not something that just happens to come with a line when you build one. And I'm not saying that it is something that happens on a daily occurrence. I'm not trying to put fear into anyone. I'm just stating a "what if" and hope that they have thought out the total cost for these plans. If they don't know the cost associated with a rescue, then that's on them and asking for problems. Not that it matters, Wow I've been on many myself. I was on that kicking horse one when it lost power and understand how a rescue happens. It didn't stop me from riding them. I still use them and hope they build a system here. If this goes ahead I just want to ensure the company pays a deposit to the city for the cost of its removal should it fail. Beautiful. Not a word about the idea for the North Terminus to be next to the Conference Centre. The north terminus will likely be at MacDonald Drive/Telus Plaza so as to connect into Central LRT station and a major bus terminal, as well as being more central for commuters. And one day maybe a pedestrian bridge over to the funicular. Absolutely in the plans, albeit separate from this. At least we can go to the next stage.